Hip arthroplasty recovery can be quick and smooth provided post arthroplasty care is taken well. The statistics are excellent for knee arthroplasty recovery and shoulder arthroplasty recovery too, and it is essential to follow the doctor’s orders carefully during the post-operative phase. The biggest cause of the failure of an arthroplasty surgery can be to the loosening of the artificial joint. Your physical therapist and doctor will advise you on how to prevent any damage to your joint and care should also be taken to avoid the following complications. Deep venous thrombosis or blood clots in the leg are complications that can crop up in the post operative stage. Between 50-70% of patients who undergo total knee arthroplasty are reported to develop asymptomatic deep venous thrombosis. However, this can be avoided by taking early precautions. 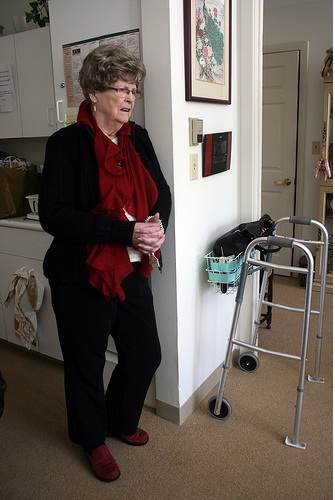 These include using anti-thromboembolism stockings and pneumatic boots. Medications that reduce clotting and thin the blood like Coumadin, heparin or Lovenox are normally used to prevent this complication. Sufficient care should be taken to prevent dislocation of the artificial joint. 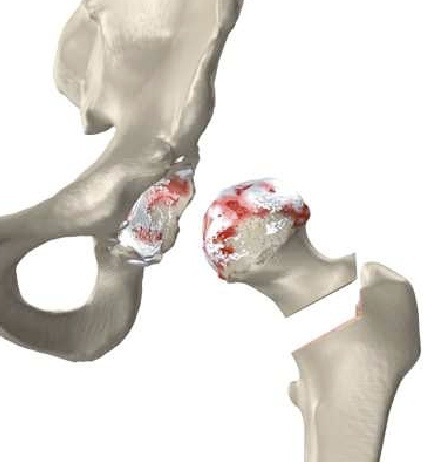 A primary study involving 60,000 patients undergoing primary hip arthroplasty and 13,000 revision hip arthroplasty showed that the overall dislocation rates were 3.9% and 14.4% respectively. A majority of the dislocations happen in the first month after the surgery. 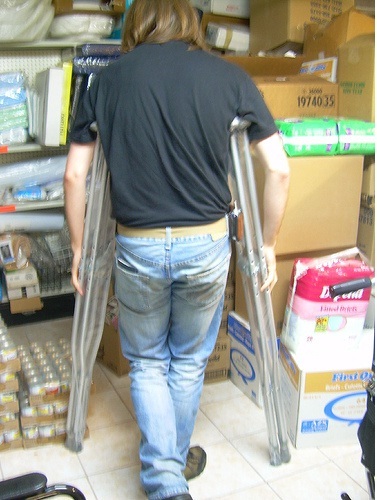 Patients are usually told to avoid certain positions to prevent dislocations. After a hip or knee surgery, you will be told not to cross your legs, bend the hip more than 90 degrees or turn your feet either inward or outward. Also take care that you do not cross your legs and place your ankle on your knee while sitting. This position is extremely dangerous and can cause the implant to loosen. Keeping a pillow between your legs is also advisable. In the case of shoulder arthroplasty, dislocations may occur due to malposition of the implant. In this case, the doctor may advise immobilization of the joint. Given the sterile operating conditions and new generation antibiotics, infections are rare but do happen. Infections in the case of total knee arthroplasty have been reported in 1 to 2.5% of cases. Doctors normally use prophylactic antibiotics routinely as soon as the operation is over in order to prevent any chances of infection. Infected prosthetic devices may require removal of the artificial joint and a revision surgery. Loosening of the joint is a cause for concern since it can involve revision surgery. However, the possibility has come down significantly over the years. The possibility of the joint loosening is higher in people who are overweight or have high activity levels. People who have undergone hip surgery are likely to experience loosening after 10 to 15 years, in case there are no complications that cause it to happen earlier. Symptoms of joint loosening include pain in the groins and the development of a limp. It is imperative to consult your doctor if you experience these symptoms. While hip and knee arthroplasty have high success rates, it is important that care is taken and these basic arthroplasty recovery tips are followed, to prevent arthroplasty complications. Good treatment and care post knee arthroplasty can have a direct bearing on the longevity of the joint and success of the operation. Knee arthroplasty surgery is recommended in cases where acute pain and dysfunction in the knee joint is caused due to arthritis or trauma. 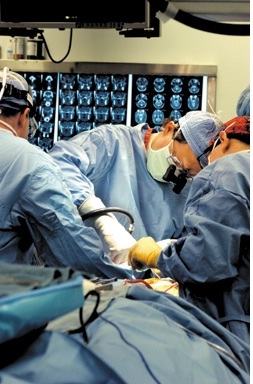 Of course, you must take care learn as much as you can about arthroplasty complications before opting for the surgery. Around 150,000 knee surgeries are conducted in the United States every year. 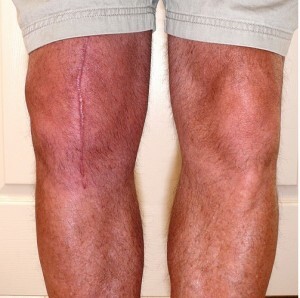 Knee surgery recovery rates are impressive with about 95-97% of patients experiencing good to excellent results. This can be mainly attributed to good post knee arthroplasty care, as this can play a major role in helping a patient heal. 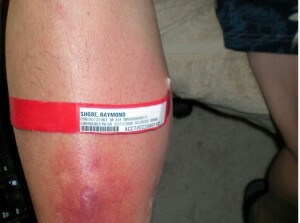 Post arthroplasty on your knee, you might be advised to stay in a hospital for a few days. If the post operative pain becomes a problem, you doctor will advise you on pain management. More importantly, for a successful knee rehab program, it is necessary to start knee movements including walking soon after your surgery. Most patients remain in the hospital for four to eight days post knee arthroplasty. The doctor will probably put you on a course of antibiotics to prevent any infection during the knee surgery recovery phase. Within a day or two, you will experience a substantial difference in the arthritic pain as compared to pre-surgery levels. The full effect of the surgery can be seen within a year. Immediately post knee arthroplasty, the doctor may recommend the use of a knee support. This will help you exercise your knee slowly even as you remain in bed. This continuous passive motion exercise machine is an essential part of the knee rehab program as it decreases swelling and increases circulation. You can also use ice to reduce the swelling. Put crushed ice in a plastic bag and cover it with a towel. 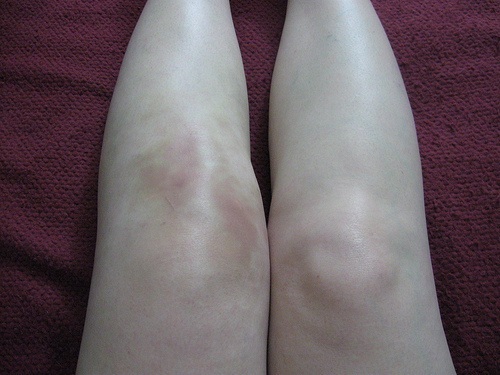 Place it on your knee for 15 to 20 minutes every hour as this will help in deceasing the swelling. An exercise program will be charted out a day after the surgery. The exercises are aimed at strengthening the leg muscles and restoring knee movements. The program will start off with isometric exercises which help in improving muscle strength. By day four post surgery, you will be expected to do isotonic or strengthening exercises as well as active knee extension exercises. One of the key factors of the knee rehab program is not to put excessive stress on the new artificial joint. While you may be encouraged to walk and exercise, you will be given certain ambulatory devices that will prevent you from over-working the new joint. You may be expected to use crutches or a walker for the first six weeks and after this time; you can graduate to a cane or just a single crutch. Within three months, 70 per cent of the patients can walk without any aid. During the post knee arthroplasty period, it is essential to avoid any kind of falls. Take due precautions and do not hesitate to use the assistive devices prescribed by your physical therapist. Also remember not to cross your legs and rest your ankle over your knee while sitting, as this posture can dislocate the implant. Contact your caregiver or doctor immediately during the post knee arthroplasty phase if you are unable to walk or if your knee feels stiff. Knee replacement surgery brings almost immediate relief from pain and also improves joint mobility, helping you lead a normal and reasonably active life. While the procedure is an effective one, you’ll need to follow proper post knee arthroplasty tips for complete and successful arthroplasty recovery. Post arthroplasty recovery statistics are very encouraging indeed. The hip surgery procedure is now considered pretty routine and nearly 300,000 such procedures are conducted in the US every year. The percentage of patients who suffer from arthroplasty complications is low, and good aftercare during the hip arthroplasty recovery phase can help in ensuring that your return to normalcy is quick and smooth. Post hip arthroplasty recovery would of course depend on the severity of the damage to the joint, the extent of damage to surrounding tissues, your activity level and your dedication to the recovery program. The most common reason for failure is due to loosening of the implant. This can affect the longevity of the joint and stall the hip surgery recovery process. As far as the success rates are concerned, most patients report a marked difference in their pre and post operative pain within one to two days. Ninety five percent of patients report feeling minimal to no pain and the ability to walk more than one mile within a year of the operation. The results generally last from six to ten years after the operation. There is a failure rate of 1% per year. It is absolutely necessary that the wound and the dressing be kept clean and dry. Also follow the doctor’s instructions clearly regarding the amount of mobility the joint is allowed in the initial days after the surgery. Do not overstress your new artificial joint. Most doctors will also recommend a course of physical therapy soon after the operation. It is important that these be done with care and dedication. Exercises are important as otherwise too much scar tissue may accumulate in the areas around the joint. This may hinder movement of the joint and cause pain. The range of exercises prescribed during post arthroplasty recovery would include isometric and resistance exercises. Isometric exercises help in tightening the muscles without actually moving the joint. These are usually prescribed within the first two weeks of the surgery. In resistance exercises, the joint is moved against resistance. The program may start with elastic tubing and progress to light weights. Constant nursing care is rarely needed during the hip arthroplasty recovery phase, but in the initial days, it is better to have a caregiver for a few hours every day to help you with driving, shopping and other activities. This is mainly recommended to prevent undue stress being given to the joint in the first few days. It is also important to remember that you should not consider yourself an invalid during this time and you should try and get things done slowly. The normal hip arthroplasty recovery time is around six to eight weeks and during this time, your allowed activities may be limited. However, you can return to work within a few days. The doctor may ban you from contact sports or heavy labor for a period of six months. When it comes to hip arthroplasty recovery, most patients regain the strength in their joints within three months of the arthroplasty surgery and by one year, the patient will be able to perform even athletic tasks without any issues. But, all this depends on proper treatment and care post knee arthroplasty. The different types of arthroplasty surgery, like hip arthroplasty surgery and knee arthroplasty surgery, can provide a new lease of life to people that suffer from chronic pain or stiffness in their joints. At times, medical treatments like anti-inflammatory drugs, pain killers and physical therapy may not bring about improvements in their pain level, and the dysfunctional joint may also curtail the patient’s ability to perform normal day-to-day activities. Such cases may indicate a need for arthroplasty surgery. Such arthroplasty surgery will be initiated through a complete clinical and medical examination. Speak candidly to the doctor about any fears that you may have and about any present ailments and medication that you are taking. A series of blood tests and diagnostic tests will then be conducted. As preparation for the arthroplasty surgery, you will be asked to fast six to eight hours prior to the procedure. The pre-operation procedures will be completed and the anesthesiologist will speak to you about your options. You can opt for epidural or spinal anesthesia or even a combination of the two. Once you are on the operating table, an intravenous line and a urinary catheter will be inserted. The skin in the surgical area will be thoroughly cleansed before the surgeon makes the first incision. When the arthroplasty surgery starts, the damaged portions of the femur and its cartilage will then be removed. The femur here refers to the thigh bone. The surgeon will reshape the end of the femur bone so that the metal or plastic prosthesis can be fitted onto the same. Bone cement can be used to attach the prosthesis to the femur. Uncemented prosthesis, which is porous, can also be used. The bone will grow to attach onto the prosthesis. The damaged portions of the tibia bone and its cartilage will be removed later and the end will be reshaped before the prosthesis is attached.A plastic plate is normally attached to the tibia and its purpose is to support the body’s weight. The plate also allows the femur to move smoothly over the tibia. The patella or the knee cap should also be able to glide smoothly over the artificial joints which have been implanted. The surgeon will prepare the rear of the patella and will attach a plastic component with the help of bone cement. 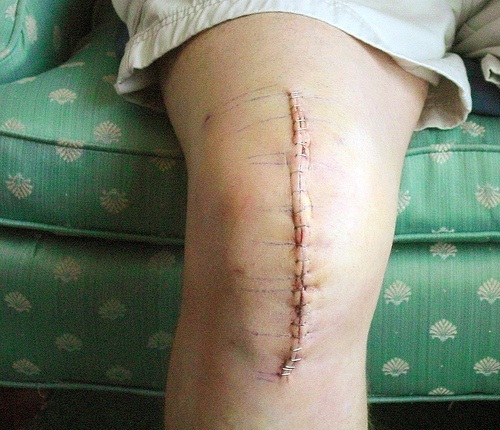 The incision is stitched or stapled and a drain may be placed to remove the fluid.A sterile bandage will be applied, and the entire knee arthroplasty surgery can take between one to three hours. 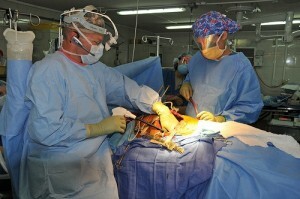 During the total hip replacement procedure, an artificial hip joint is used. This artificial joint has four distinct parts – a socket made of metal, a plastic liner to fit into the socket, a metal or ceramic ball and a metal stem. The metal socket will replace your old hip socket, while the ball replaces the head of your thigh bone. The liner is fitted into the metal socket to enable the hip to move smoothly. The metal stem is attached to the bone shaft. This will give stability to your new artificial joint post arthroplasty surgery. The arthroplasty surgery is conducted with either epidural or spinal anesthesia. The surgeon will make an incision over the buttocks and will remove the head of the thigh bone. The damaged portions of the bone and cartilage will then be removed and the hip socket will be cleaned. The new artificial joints are normally put in place and fixed with bone cement. Any damage to the surrounding muscle and tendons around the newly fixed joint can then be repaired. 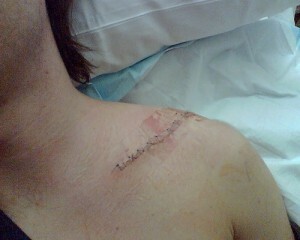 The incision will finally be closed and the area will then be bandaged. Shoulder arthroplasty surgery is also being increasingly used to correct dysfunctional shoulder joints and the procedure for this is quite similar to knee and hip replacements. 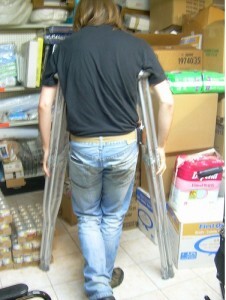 The result of the surgery should be better mobility and relief from pain. Once the doctor clears the patient as medically fit to undergo the procedure, the same can be carried out in order to treat the condition. Also, it is important to seek proper care post arthroplasty to ensure a succesful arthoplasty recovery. Like all other surgical problems, arthroplasty complications can occur as every surgical operation carries an element of risk. However, with increasing advances in the medical field, there is a 98% chance that you will recover from the arthroplasty surgery without encountering any serious setbacks. Although this might be the case, certain people should be wary before signing up for the procedure as they maybe prone to arthroplasty complications. Patients with rheumatoid arthritis often experience crippling pain in their joints, but arthroplasty cannot be recommended for a large percentage of these patients. This is because rheumatoid arthritis affects not just multiple joints, but also the body’s immune system. Therefore, surgery may not have positive results and complications might rise when the same is attempted. Obesity is also a deciding factor. This is especially true as far as ankle replacement surgeries are considered. Obesity increases the stress on the replaced joint. This can cause problems with longevity of the joint. Surgeons therefore very often advise patients to lose weight before going in for arthroplasty. Hip arthroplasty complications and knee arthroplasty complications can surface in patients who are already suffering from other illnesses like heart problems. These issues must be carefully discussed with the doctors before proceeding for surgery. For example, patients who suffer from muscle weakness problems or Parkinson’s disease may not be suitable candidates for the procedure. This is because they will be more prone to damaging or dislocating their artificial hip. Until a few years ago, hip replacement was normally recommended for people over the age of 60, but today, it is done for younger persons too, though the doctor will definitely have to take your lifestyle into account before recommending arthroplasty. Research studies have shown that women recover faster from knee replacement surgery when compared to men, although men do catch up later. But equally interesting is a study done in Canada which indicates that there is a gender bias among physicians and that they recommend knee replacement surgery to a greater percentage of men when compared to women. The study was published in the Canadian Medical Association Journal and stated that physicians were twice as likely to recommend total knee arthroplasty for men as compared to women. Arthroplasty should not be considered for patients who have not attempted other treatments like anti-inflammatory and anti-pain drugs and physical therapy. Doctors recommend arthroplasty only when the pain refuses to respond to other forms of treatment and its severity is affecting the quality of life. Arthroplasty is performed only when medical treatment has not improved the functionality of the joint. It helps to reduce pain levels and also improves mobility, helping the patient lead a normal life. Although the procedure is capable of bringing down pain levels, the patient must be medically cleared in order to avoid arthroplasty complications. Also, pre arthroplasty prepping and post arthroplasty care are just as important as the surgery itself. This increases the chances of have a complete arthroplasty recovery. Pre arthroplasty measures should be strictly tailored and followed before knee replacement, hip replacement and shoulder replacement surgeries. Arthroplasty is a surgical procedure and carries all the risks associated with surgery, and this is the reason why pre arthroplasty measures are very important. There are different types of arthroplasty and each one requires a thorough medical evaluation before the procedure takes place. This helps determine the need for arthroplasty and also helps prevent potential arthroplasty complications that can arise in later stages. Laboratory evaluation is a necessary pre procedure preparation for arthroplasty surgery. The tests that are carried out include blood count tests, renal function studies, serum electrolysis, urine analysis and urine culture. These tests are done to rule out anemia, infection and other conditions. A large percentage of patients who undergo arthroscopy are elderly. Therefore, in such cases, pre hip arthroplasty and pre knee arthroplasty measures should include a routine pre-operative electrocardiography. Patients with heart ailments should have a talk with the anesthetist. The patients should be made to completely understand the risks involved in the operation. As part of the total hip replacement pre-procedure or knee replacement pre-procedure, they should also be made aware of the possible complications that can arise. 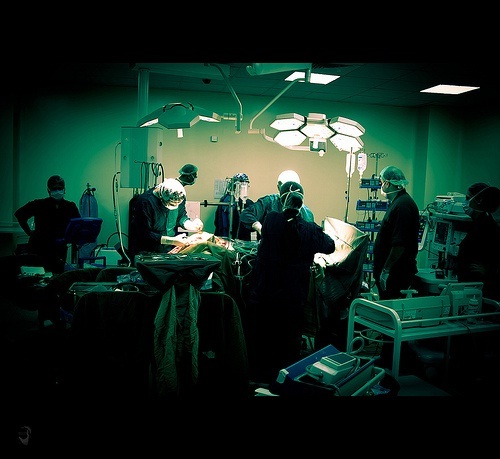 Total hip replacement pre-procedure preparation would involve making arrangements for blood transfusions. Since the surgery involves deep tissue and muscles, a lot of blood is lost during surgery. The surgeon may ask the patient to donate their own blood which will then be used during surgery. The pre arthroplasty preparation will also involve weight loss regimes, as overweight patients will have to lose weight. Smokers will be asked to quit smoking and patients who are already on medication for various ailments may have to discontinue or reduce the dosage of some of their medication until the surgery is completed. 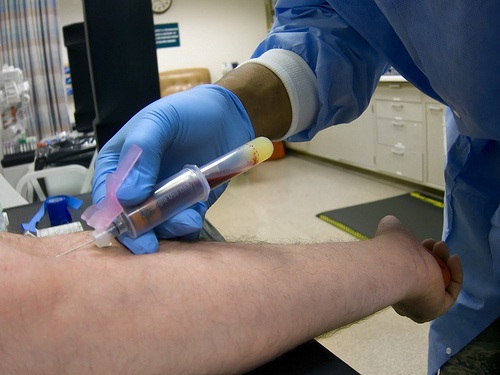 Extra tests may be done for patients who have a history of problems vis-à-vis clotting of blood. In addition, patients will be asked to stop taking drugs that prevent the blood from clotting. This includes asprin, ibuprofen and naproxen. The surgeon may also recommend certain strengthening exercises that have to be done for a few weeks before the surgery is scheduled. Stronger muscles in these areas will ensure that the recovery period is shorter and smoother. The pre-procedure preparations will also include several imaging tests. X-rays will be done to find out the extent of damage to the joint and to assess the loss of joint space. Other imaging tests that may be recommended include CAT scans, MRI and bone densitometry. These will reveal the extent of bone loss or bone infection. It is better to keep the surgeon informed in case of any change in the patient’s health condition, including the onset of cold, fever or flu. The surgeon or his support staff will issue pre arthroplasty instructions to be followed on the operation day. This would include not eating or drinking anything for six to 12 hours before the procedure. Antibiotics and antithrombotic drugs will be administered around half an hour before the first incision is done. Following these pre arthroplasty tips will definitely help a patient prepare for the surgical procedure both physically and mentally. The different types of arthroplasty for treating knee injury, shoulder pain and hip problems are generally prescribed once the diagnosis has been successfully carried out. Arthroplasty involves the repair or replacement of a dysfunctional joint through a surgical procedure. The result of this surgical intervention is to restore the mobility and functionality of the joint as well as to relieve the pain. The chances of a successful surgery are increased by taking proper measures pre arthroplasty. Arthroplasty surgery is often recommended for patients who suffer from osteoarthritis, rheumatoid arthritis, bone injuries, frozen or loose shoulder, congenital bone disorders as well as rare bone diseases. As far as rheumatoid arthritis is concerned, arthroplasty will not help in curing the disease or preventing its activity. But the surgical procedures and types of arthroplasty will provide relief from pain and improve joint mobility. If there is acute pain in the hip and groin area either due to arthritis or injury. If the pain is debilitating and limits daily activities like walking, climbing and travelling. All other conventional treatments like anti-inflammatory drugs, pain killers or physical therapy have failed to provide relief. Arthroplasty could also be indicated in case there is acute stiffness in the hips. Shoulder replacement surgery is done to replace the troublesome joints of the shoulder bone with artificial joint parts. Among the types of arthroplasty, there are two kinds of shoulder arthroplasty that are done. If an accident has caused trauma to the shoulder bone or has broken it. If osteoarthritis or rheumatoid arthritis has affected the shoulder bone. If the tissues of the shoulder have been badly damaged. If there’s development of a tumor in the area. To relieve pain caused by acute arthritis. Knee replacement is indicated if the pain is disabling and has negatively affected the patient’s quality of life. The correction of a deformity may be considered as a case of surgery but is not taken to be a primary indicator. Knee replacement surgery often takes the age of the patient into account. 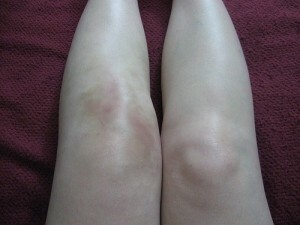 This is because knee replacement has a limited longevity. As a result, it is often recommended for older patient who limit themselves to modest activities. 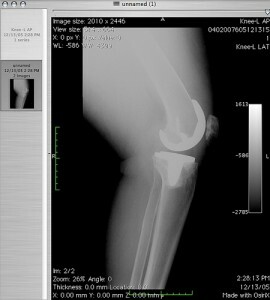 Arthroplasty is also indicated in younger patients who suffer from limited joint function because of systemic arthritis. The right procedure to be followed among the different types of arthroplasty will be determined once the diagnostic tests are carried out properly and the need for arthroplasty has been ascertained. The patient also needs to be aware of the potential arthroplasty complications before agreeing to undergo the surgery. The need for arthroplasty measures like total arthroplasty for hip replacement or knee replacement rise when patients are affected by certain specific medical conditions. Of course, like with any other surgery, there are arthroplasty complications to think of, but sometimes the risks outweigh the benefits. Arthroplasty is a procedure whereby a new movable joint is constructed to replace old, damaged, stiffened or painful joints. It is a surgical procedure that can basically be done in two ways. In the first instance, the damaged portions of the bone are removed. This leaves a gap between the bone and the socket, which is filled up by scar tissue. The second way in which arthroplasty is performed is by using prosthesis made of various materials in order to cushion the damaged parts of the joint. If you suffer from painful arthritis – osteoarthritis or rheumatoid arthritis – arthroplasty can be helpful. Of course, your doctor will first put you through other treatment forms before recommending surgery. But, if your condition progressively deteriorates and if treatments like anti-inflammatory and anti-pain drugs as well as physical therapy do not work, then arthroscopy may bring you relief. 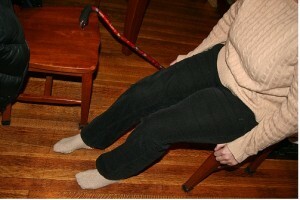 For example, osteoarthritis of the hip may leave a person completely immobile. Any movement during such an affliction may be followed by excruciating pain. These could very well be taken as hip replacement symptoms and your doctor may recommend either a total hip replacement or a partial one. Accidents can cause injury to joints. For example, a knee injury can leave the injured knee joint totally incapable of movement. Sometimes, with old age, stiffness creeps into the joint and the conditions worsens over the years. This is yet another instance when doctors may recommend arthroplasty. This could be in the form of total knee replacement surgery. Osteonecrosis is very common in the shoulder and hip. It occurs when blood supply to these areas is affected. As a result, the bone slowly gets damaged. Over time, if left untreated, it could lead to bone death. Osteonecrosis in the shoulder could occur due to trauma caused by an accident. The symptoms include pain and limited range of motions in the shoulder. Osteonecrosis in the hip can cause groin pain and limping. Arthroscopy can bring relief to shoulder pain causes and symptoms and is generally used for Osteonecrosis treatment. If you suffer from congenital damage to the joints, then arthroplasty can be performed to correct the condition. Arthroscopy is often recommended in cases of hip dysplasia and acetabular dysplasia. In both these cases, there may be abnormalities in the hip joint which can be corrected either by removing or replacing the head of the femur and the socket. Arthroplasty cannot be used to repair damage to all joints in the body during congenital joint disorders. It is mainly restricted to repairing or limiting the damage that has occurred in shoulder, elbow, hip, knee, certain knee joints as well as the metatarso-phalangeal foot joints. Doctors will recommend the procedure when the need for arthroplasty surgery rises, and only after other conventional forms of treatment have failed to bring about a significant reduction in pain levels or any improvement in mobility. Successful arthroplasty can bring about a dramatic improvement in the quality of your life, as long as you take proper care post arthroplasty. Total arthroplasty, including subcategories like knee arthroplasty, hip replacement and shoulder surgeries are being increasing used to bring relief to patients who suffer from dysfunctions in their joints. Arthroplasty is basically surgically repairing joints. This can be done in two different ways. The surgeon may restore the joint by resurfacing the bone or an artificial joint or prosthesis may be implanted. When is Total Arthroplasty Recommended? Total arthroplasty may be recommended for patients who suffer from various kinds of arthritis. For example, patients suffering from osteoarthritis often face disabling pain. Osteoarthritis can affect shoulder joints, hip or elbows. Patients suffering from rheumatoid arthritis too suffer from severe pain which can be corrected with total arthroplasty. 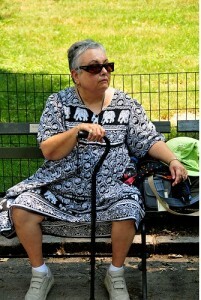 Knee surgery and hip replacement surgery procedures have become common. Total arthroplasty may be the way out for those who dislocated or fractured their hip bone. Surgeons also recommend this surgery for patients who have been diagnosed with frozen or loose shoulders. Total arthroplasty can also be done in cases of osteonecrosis. Osteonecrosis is caused due to poor blood supply to areas around the joint. As a result, the bone ‘dies’. Osteonecrosis affects the hips, shoulders, knee, elbow, wrist and ankle. If the condition is not treated, the joint will continue to deteriorate. 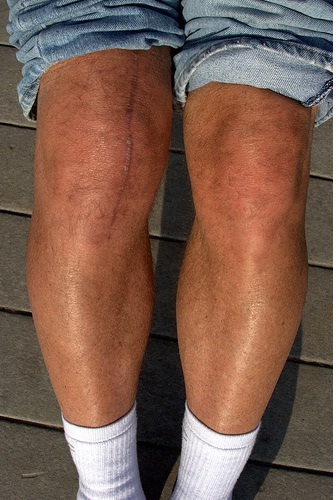 For example, osteonecrosis in the knee area can be corrected by knee replacement surgery. Total arthroplasty is also indicated for patients who have acetabular dysplasia. This is a condition where the hip socket is too shallow and therefore the joint cannot function properly. It is a congenital condition. Pain and an audible clicking noise when the joint moves are the symptoms of acetabular dysplasia. This surgical option is also available for patients who have traumatized or misaligned joints. Joint stiffness is a common complaint that comes with old age and can be corrected by total arthroplasty. For example, stiff knees can seriously affect mobility and doctors often recommend total knee replacement surgery to improve mobility. Of course, arthroplasty is not the first option for patients suffering from the above conditions. It is done only when other treatment procedures like the use of anti-inflammatory and pain drugs, cortisone injections and physical therapy fail to provide relief. What are the Different Types of Total Arthroplasty? This procedure involves placing tissue taken from other sites and placing it between the damaged surfaces of the joint. The tissue will keep the damaged surfaces apart and will also act as a false joint. 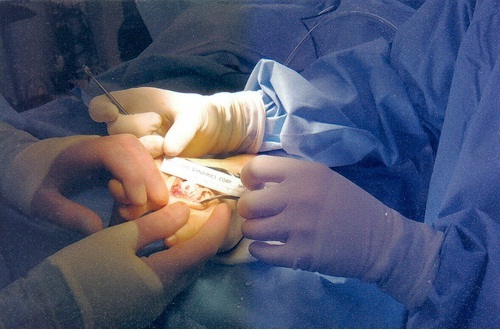 In this case, the surgeon removes the area of the joint that is creating the problem. This creates a space between the bone and the socket, which will be gradually filled by scar tissue. Excisional arthroplasty helps in relieving pain and restoring motion, but it also makes the joint less stable. This involves the removal of one or more surfaces of a joint. It is often used with hip joint problems. However, it can leave the joint unstable and it also causes the extremity to be shortened. This is being increasingly used in place of total hip replacement surgery. Cobalt chrome metal caps and cups are used to replace the articulating surface of the hip joint in resurfacing arthroplasty. They are basically similar methods where various materials are used to replace the damaged joints. What are the Precautions and Aftercare After Total Arthroplasty? Once the arthroplasty surgery is completed, the patient is often advised to undergo physical therapy. Care must be taken not to destabilize or overstress the joint. The patient is often given a course of antibiotics in order to prevent the risk of infections. Measures like total arthroplasty are growing more efficient thanks to rapid developments in the field, and these have brought relief to people who suffer from joint disorders.